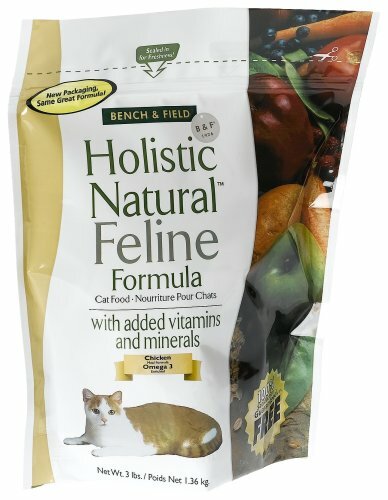 This particular holistic cat food is one of the most packed with vitamins and minerals around. The ingredients include sun-cred alfalfa, kelp, and quinoa, as well as fruit and vegetables, such as blueberries and cranberries. 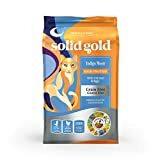 There are several nutritional plus points too, including omega 6 and omega 3, which gives that healthy and shiny coat and skin. 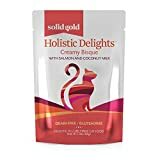 The antioxidant content is also very high, and your cat will be bouncing with health and vitality thanks to the huge amount of nutritional content. Incidentally, the flavor of this food is a chicken meal and has absolutely no false ingredients added in. The downside of this particular food is the price, but that is something which should be weighed up in terms of the benefit, versus the cost.